McDonough & Sons Inc. will be a very successful sweeping company by using the minds, hearts, and talents of each individual. One customer at a time, we are committed to earning our customers loyalty through our expert skills and providing dependable, quality service with the state of the art technology. We value our ability to deliver cost-effective services with the ambition and integrity each of our customers deserve. McDonough & Sons Inc. services the majority of the Puget Sound area. 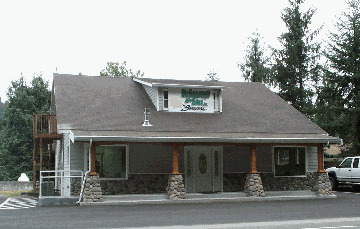 We are located out of Ravensdale and travel within the I-5 and I-405 corridor. We go farther when needed. If you need our services, feel free to give us a call wherever you are in Washington and Northern Oregon. We will be happy to help you whether you use us, or we refer you to someone else in your area! Click here to Download an Application. Make sure to print the application and fax it back to us. With the constant concern of air quality, McDonough & Sons Inc. has been able to provide our customers with the latest technologies in regenerative air sweepers. The regenerative air sweepers have a vacuum air system that gives it the ability to sweep up finer dust particles, which in turn leaves less dust in the atmosphere. The smaller air sweepers are used mainly for parking lot maintenance, while the larger air trucks are used for a wide range of services including: parking lots, airport runways, city streets, and highly dusty construction sites. Copyright © 2008. McDonough & Sons Inc. All rights reserved.